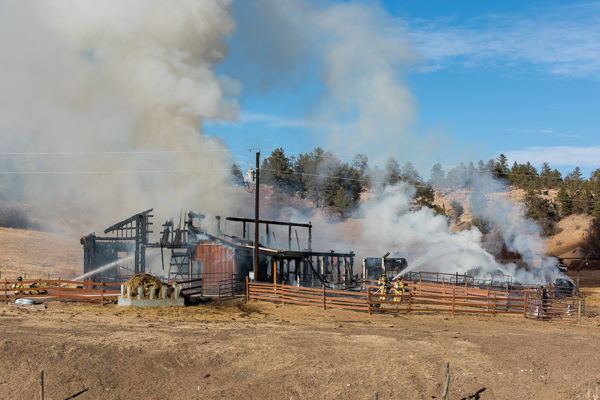 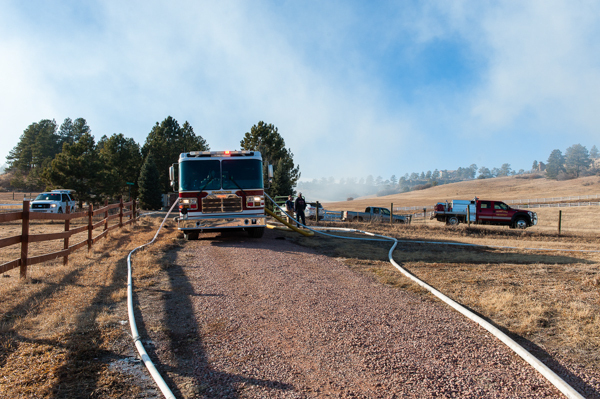 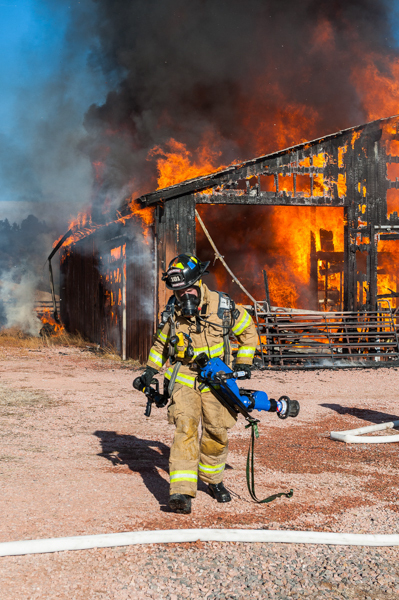 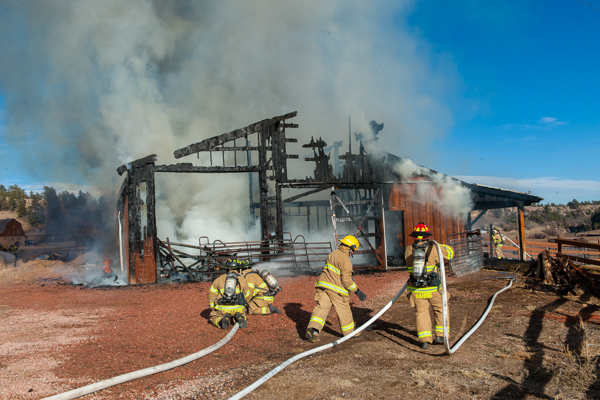 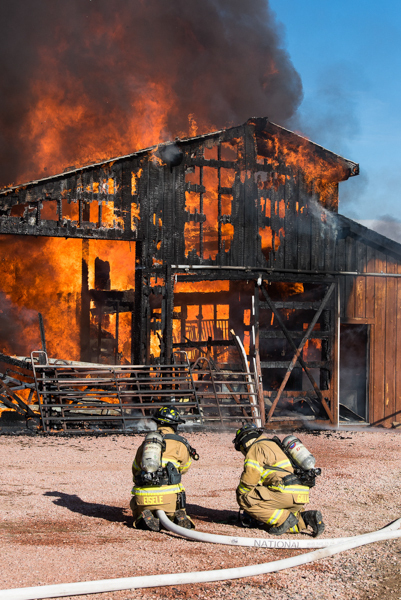 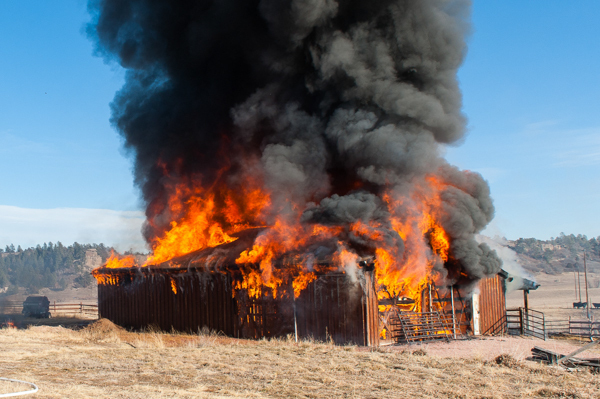 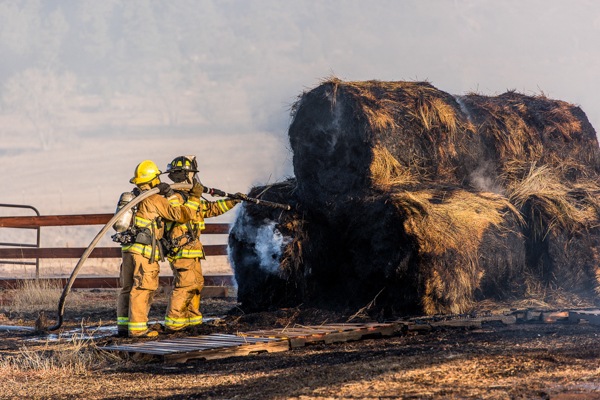 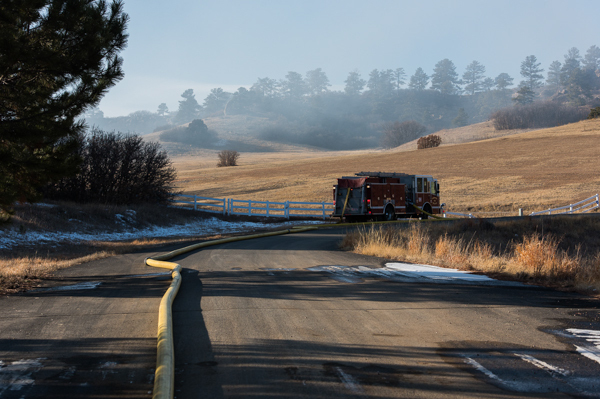 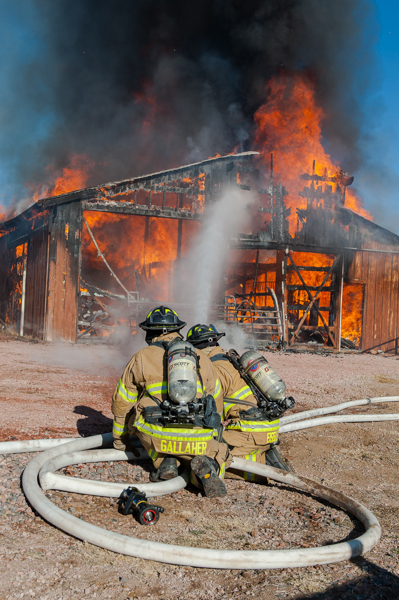 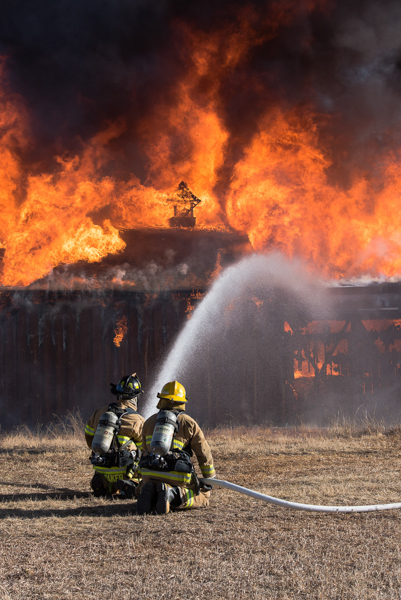 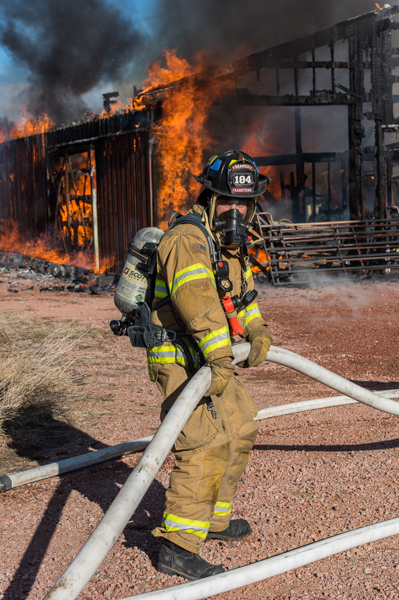 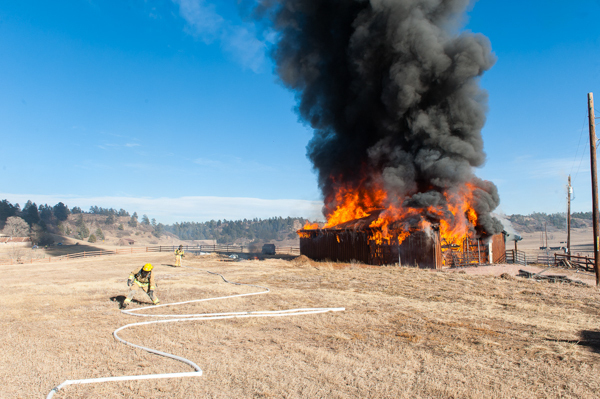 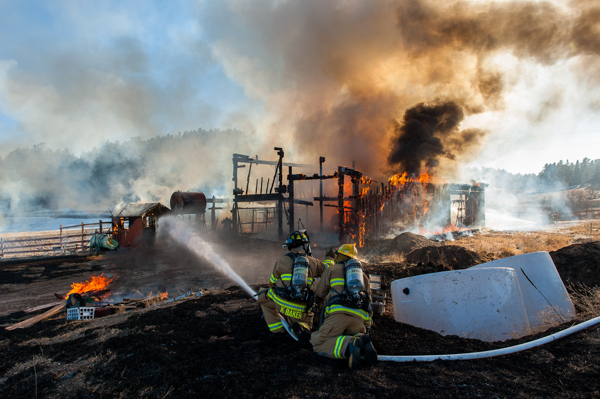 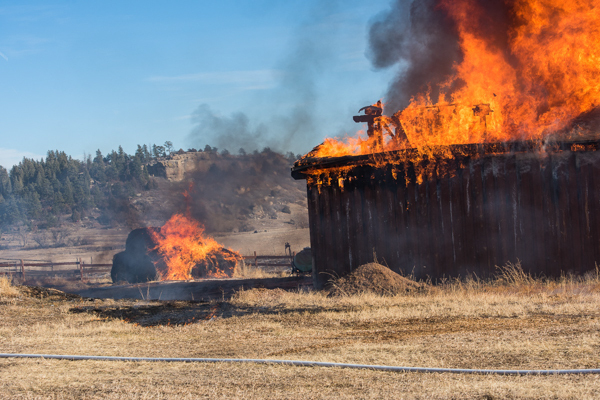 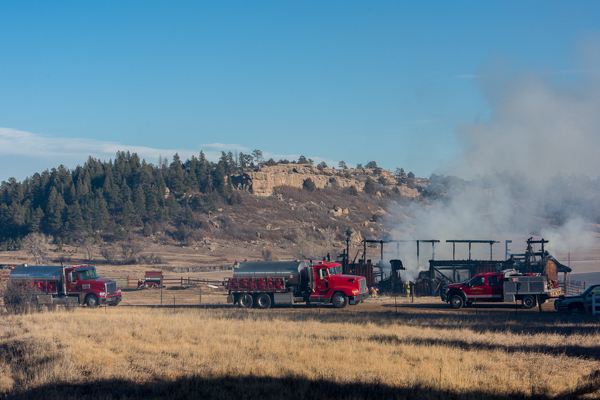 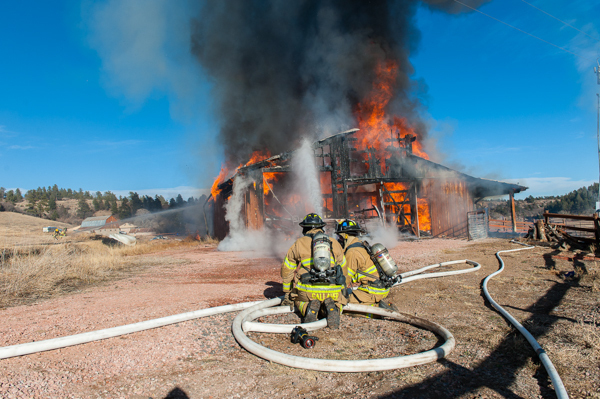 December 30 2017 ~ At 13:40 Franktown Fire Department responded to an outbuilding on fire at 1611 Castle Pointe Dr. and S. Castlewood Canyon Rd. 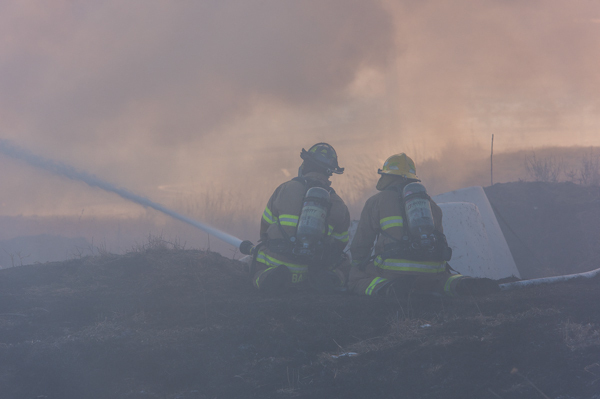 Dispatched advised crews that possible diesel tank near the flames on the east side of the building. 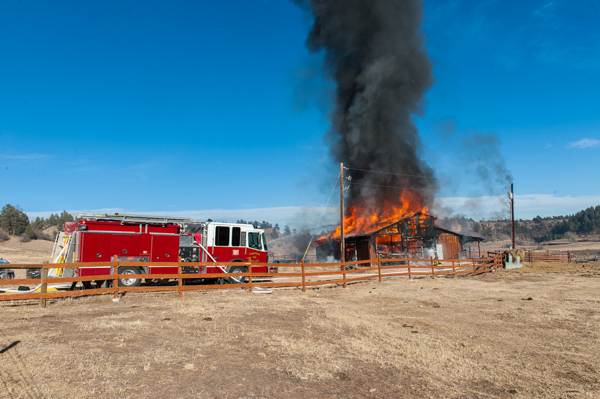 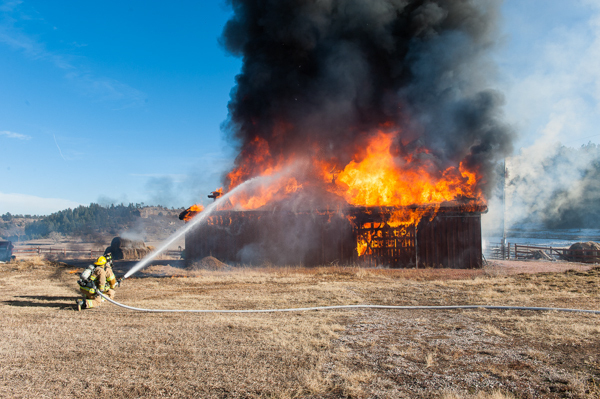 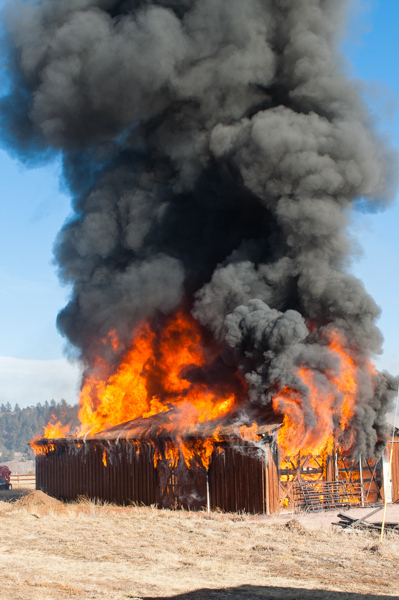 Engine 181 arrived to a fully involved barn in the defensive mode.